As school districts and classrooms digitize, students in the School of Human Development and Education at St. Edward’s are helping elementary-school children learn tech skills as a form of literacy. Using Kindles and Polaroid cameras, 16 second graders at St. Elmo Elementary in South Austin each crafted a text explaining five events that shaped their personal histories with the help of student-interns from the School of Human Development and Education’s field-based internship class. Recently, Austin Independent School District transitioned the school registration process online, and currently, 5th graders at St. Elmo are using laptops in their classes as part of a pilot for the newly adopted Blend, an online learning management system. Education student-teachers “need to be thinking about how to use technology, what our relationship is to technology, and how kids are handling it and accessing it both in the classroom and at home,” says Elisabeth Johnson, associate professor of Literacy at St. Edward’s University. A $3,500 grant from the university’s Technology Learning and Teaching Roundtable fund supported integrating technology in the after-school program, which is a critical element in literacy learning. “This project is an opportunity for the kids to have agency over their personal stories, to define their own perspectives, and to have access to the culturally responsive tools to tell those stories,” says Johnson. Students from St. Elmo took Polaroid cameras and Kindles back and forth between home and school for a month, taking pictures of important people, places, and things and conducting interviews with family and friends. Before leading second graders through the after-school program, education interns created their own personal histories, so they had tangible experience writing with the new tools and an example text for the children. Meet two of the student-teachers involved in the afterschool program. 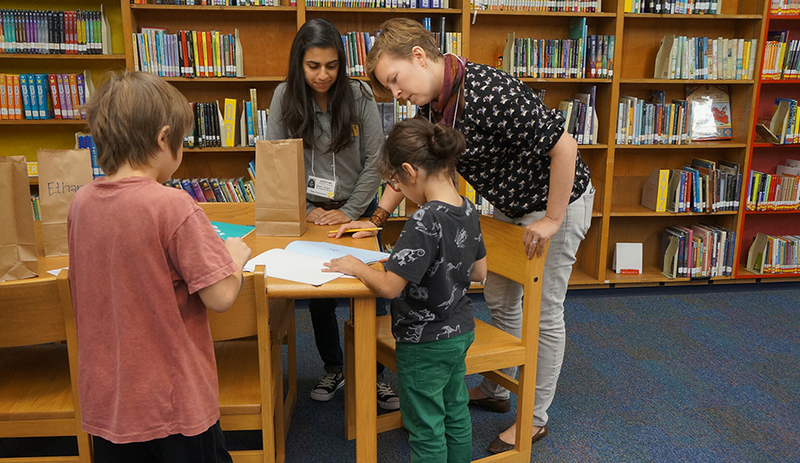 Above: Shari Gulam ‘18 and Dr. Elisabeth Johnson, Associate Professor of Literacy, work with second graders at St. Elmo Elementary School in South Austin. 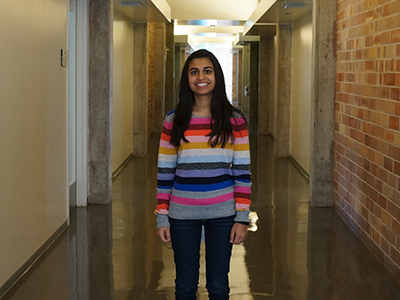 Why she’s a student to watch: During her four years at St. Edward’s, Gulam has observed elementary teaching techniques at Dawson Elementary and Travis Heights Elementary in Austin and is now helping children build a sense of their personal history at St. Elmo Elementary. Throughout high school she helped her mom, a Dallas elementary school teacher, in the classroom, which allowed her to see how teachers make an impact on young minds. In this case, helping children build their own personal history is “important because it helps them understand how history impacts who they are today,” she says. Her personal history: Before participating in the after-school program, she created her own personal history and included her first day of pre-kindergarten and first grade. “I have a twin sister, so I included those two moments because we attended pre-K together, and then went into separate classes in first grade. That’s a big part of who I am,” says Gulam. Also included was a trip to Africa in sixth grade, playing on her high school softball team, and getting accepted into St. Edward’s University. What’s next: Up next is student-teaching second grade at Cowan Elementary before graduating in May. Gulam plans to move back to her home town of Dallas to enter the job market as a teacher, possibly with second graders. Why she’s a student to watch: In addition to her work in Austin elementary schools, Uzcátegui has been a member of the Transfer Student Association and the St. Edward’s Educator’s student organization. She has also made the Dean’s List every semester. Her work at St. Elmo has helped her further understand her role as an educator. “One of the biggest lessons I learned is that students need more interactive learning and hands-on activities, rather than just sitting down and listening,” she says. She does this by integrating songs and movement into classroom activities. 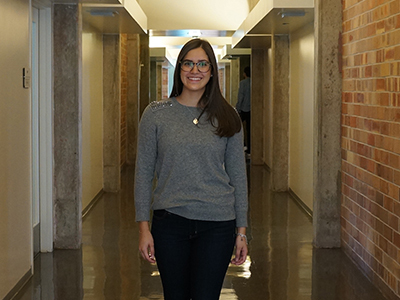 Her personal history: Uzcátegui included her debut in a preschool play, the day she moved to the United States from Venezuela, the moment she first got a puppy, and the day she learned of her acceptance to St. Edward’s University on her path to becoming a teacher. As a School of Human Development and Education student, “I really love working with kids and seeing them grow over the span of a semester is really rewarding,” she says. What’s next: Uzcátegui is working on an application for the Presidential Award, which recognizes outstanding seniors for excellence in leadership, academic performance and service to the university and other communities. After graduating in May 2018, she plans to enter the job market as a special education teacher, preferably in a preschool program for children with disabilities or a life-skills classroom. She’s also considering pursuing a master’s degree that would specialize her training on children with autism disorders.